As Archbishop of Canterbury, George Carey warned that Christianity was one generation away for extinction in Britain. 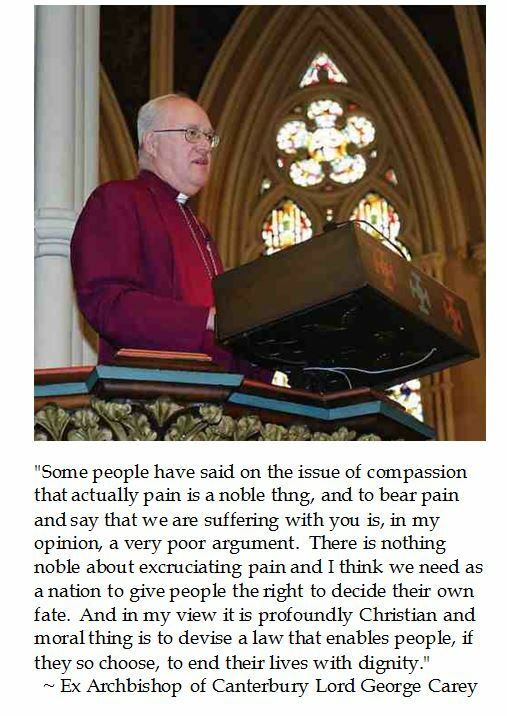 It would seem that a distinguished man of the cloth advocating euthanasia hastens that denominational demise. Bishop Richard Stika on "Evil Without Makeup"